The algorithms that social platforms use can seem hopelessly elusive. Let’s put the spotlight on Instagram. Although Instagram will never reveal the exact formula for its algorithm, there are some key points that Instagram has shared about its latest algorithm update that are extremely informative for content optimization. Essentially, Instagram’s algorithm revolves around timeliness, user relationships, and overall engagement. The trick to cracking the code when it comes to optimizing your Instagram posts is realizing how your audience is affected by the algorithm. Instagram is constantly learning the behavior of your audience and adjusting its algorithm accordingly. Instagram is monitoring users’ behavior closely; if users are positively engaging with your content, they will reward you for that and “promote” your content by putting it in front of other users with similar interests. Instagram’s algorithm will organically benefit you when you create relevant, time-sensitive content for your audience. You need your content to be high quality enough that your target audience naturally feels inclined to share this content both publicly and privately with friends and followers. As you might already know, Instagram pays attention to all user activity in the foreground and background. If someone is constantly searching for or visiting your account, Instagram recognizes that the person is interested in seeing more of your content. Similarly, if someone is sharing posts with his/her network through direct messages, Instagram’s algo assumes it’s likely that the person finds the content of those posts interesting. Instagram is keen on keeping track of your direct messages. Even though it was shared privately, Instagram knows that you were compelled by that content enough to send it. Instagram pays attention to companies with optimized business accounts. Instagram rewards companies that have their account set up properly as a “Business Account”, and inversely negatively penalizes accounts that aren’t set up. If you haven’t already set up your Instagram account as a business account, it could be harming your traffic and searchability, update it now. Instagram’s Business Tools and Insights can empower you to optimize your profile and posts in beneficial ways. With a business account, you’ll get access to new business features and Instagram Insights. These Insights provide information on who your followers are, when they are active online, which accounts they follow, etc. 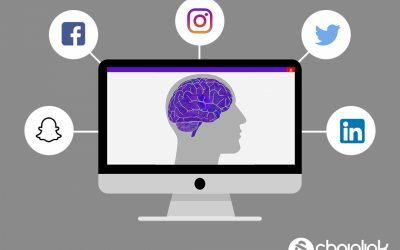 By observing what kinds of accounts your target audience follows and how they respond to their content, you can get an idea of how to best make your content engaging. Then, you can use Insights to see how every one of the posts/stories you’ve created performed and how people engaged with them. One simple way to improve your Instagram business account is simply optimizing your business’ bio. It might seem obvious, but companies often overlook the opportunity they have to make themselves more searchable by changing their bio. To make your business’s profile easy to find, invest time in providing the most efficient description possible (you can make a big impression in 15 characters, but it takes thought). It’s worth it to put in the energy to craft the best possible call-to-action with a link that leads to a contact page or form (or whatever else is most important for your business’s growth). Make sure your profile picture is eye-catching and representative of your company as well. The recipe for a successful Instagram post is not always straightforward, but there are generally some guidelines you can follow to maximize your chances at showing up at the top of your target audience’s feed. You can read more about the Instagram algorithm, and learn how your business impactful on Instagram by reading Instagram’s business blog. 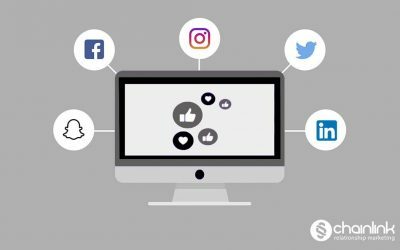 If you and your company want to integrate your Social Media Marketing with your cross-channel efforts, Chainlink is here to help you. The Chainlink Marketing Platform offers solutions that can help your business seamlessly integrate your social channel platforms and data with your marketing programs and workflows. 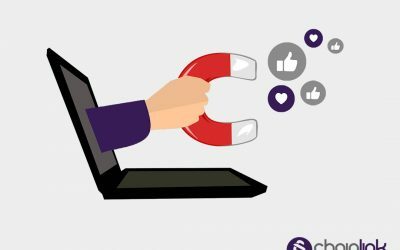 Chainlink Relationship Marketing would be happy to manage your overall digital campaign using our proprietary platform, effectively applying our knowledge about social media marketing to ensure an optimal campaign. You want your customers/clients to have a customized online experience. 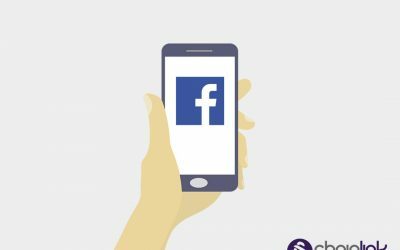 We have the expertise and skills to leverage data from your audience’s social media profiles to create that individualized experience for them. Furthermore, the Chainlink Marketing Platform’s anonymous tracking tools allow you to follow your customers and prospects alike. You can even assign monetary values and customized scoring to different social marketing campaigns, and then determine which social promotions or influencers are driving the highest conversions, and which you should be avoiding.